Greg Hall, MD is a physician, author, speaker, inventor, professor, and public health professional. 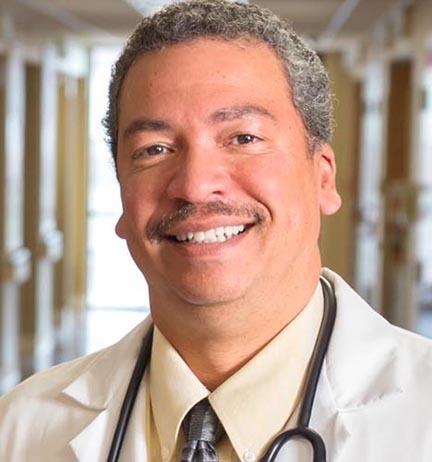 Dr. Hall specializes in urban health and the clinical care of African Americans. He strives to improve the quality of medical care through improved health education and awareness. As an expert in the healthcare of African Americans, Dr. Greg Hall strives for health equity in all patient care. 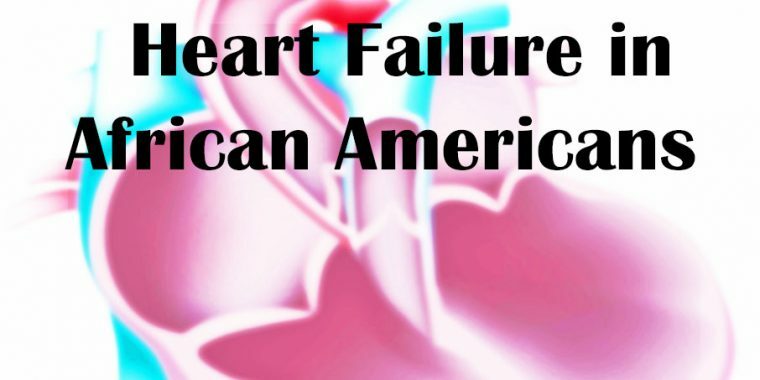 Heart failure in African-Americans occurs more often and is more deadly. African Americans have a significantly higher risk and earlier onset of heart failure and heart-related death compared to all other populations in the United States. In fact, African Americans are two and a half times more likely to die from heart failure than Whites, and it occurs at an earlier age. Much of the added occurrence of heart failure can be attributed to poor blood pressure control and being on the right medications to better control your blood pressure (take a look at my article “Are you on the right blood pressure medicine?”). But there are also other causes to know. The “heart failure” term is not the best (in my opinion) to describe the situation with the heart because it gives an impression of impending and unavoidable “failure” of the heart. 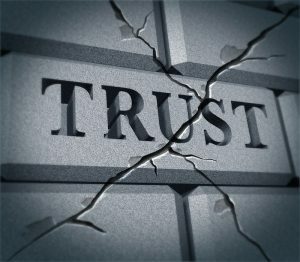 In reality, people are admitted to hospitals across the nation with the diagnosis of “heart failure” and then are given medications that readily reverses the “failure.” The term “congestive” heart failure is also used and reflects the situation of too much fluid for the heart to process. The “congestion” in the heart effects its proper function like the congestion in your nose when you have a cold. In congestive heart failure, “water pills” and other medications are given and the “extra” fluid is flushed (urinated) out. The occurrence of heart failure, although not as ominous as it sounds in the short term, is a sign of a serious heart condition that can bring premature death. 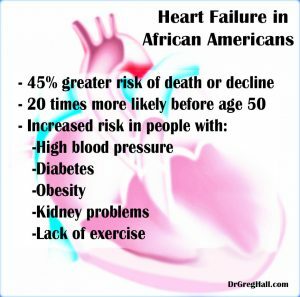 Like many other health conditions, heart failure occurs more frequently in African Americans. The major drivers to this racial disparity is a higher incidence of obesity, high blood pressure, diabetes, physical inactivity, and smoking. To see if you are at risk, let’s review each risk factor. You and I both know that African Americans culturally prefer being “meatier” and many African Americans in the red areas are completely happy with their weight and size. Others have suggested a different (more racially appropriate) chart be used for African Americans and other racial groups, but there is not widespread acceptance. High blood pressure (also called hypertension) that is untreated is the biggest risk for having heart failure in African Americans. 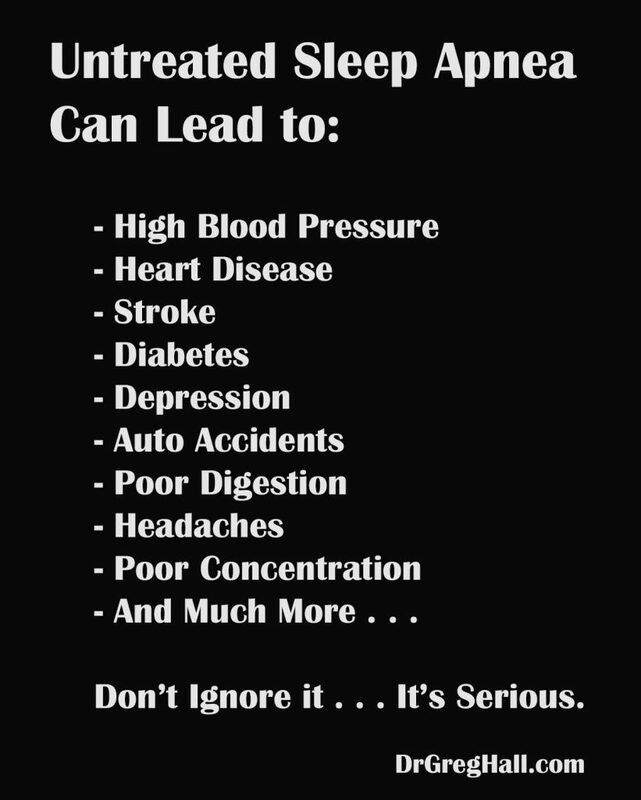 Having your blood pressure controlled to less than 130 over less than 80 is a huge step in the right direction. And being on the correct medicines for the treatment of high blood pressure and watching how salt impacts your health is important as well. Type 2 Diabetes is the most common type in African Americans and occurs with an 80 percent greater chance. Getting control of blood sugars with medications and diet adjustments is critical to avoiding poor control that could lead to heart failure. Shooting for a HbA1c near 7.0 or below is an indication of good control. 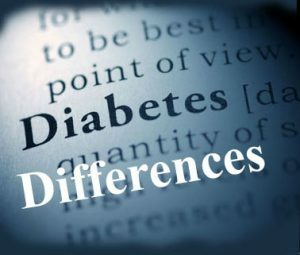 There are other important differences in the medical care of diabetes in African Americans and you can review them HERE. A lack of physical activity is bad for your health and that alone can be a risk factor for heart failure. Studies have consistently shown that physical activity reduces risks of heart disease, stroke, and heart failure. By walking, running, biking, dancing and more you can make great progress in decreasing the risk for heart failure. Set a schedule, track your steps, and get started making the rest of your life more health drama-free. All of this is in addition to the increased risk for diabetes due to smoking (See “Heavy Smokers at Higher Risk for Diabetes”) and the increased cancer and circulation problems. Let’s get real . . .
Heart failure is real and touches almost ever African American family. 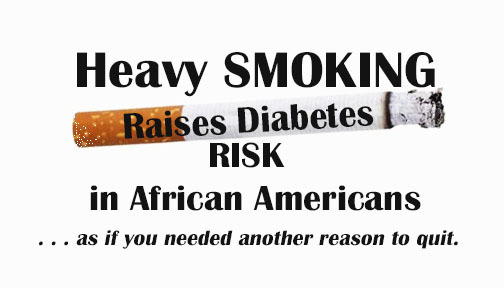 We all know family members with diabetes, high blood pressure, kidney disease, and smokers. They are on the road to heart failure and because they are related to us . . . we are at risk too. It’s time to get serious about preventing it. "Although smoking cessation should be encouraged for everyone, certain high‐risk groups such as blacks who are disproportionately affected by diabetes mellitus should be targeted for cessation strategies." 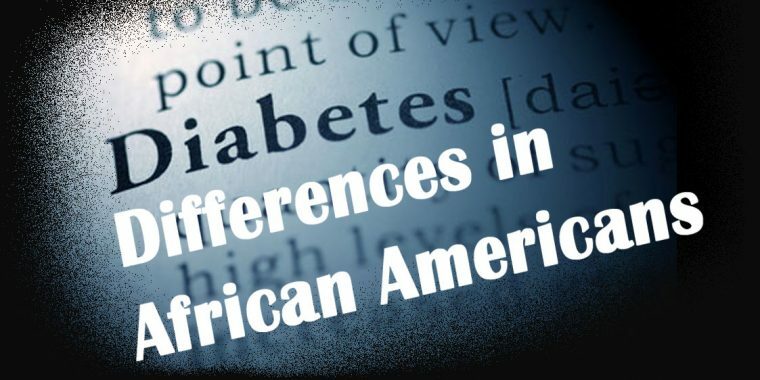 There has been some startling discoveries lately in the differences in how diabetes is diagnosed and treated in African Americans. Because of genetic nuances that we normally may ignore as insignificant, hundreds of thousands of African Americans remain under-diagnosed and under-treated for diabetes. Diabetes already occurs at an unusually high rate in African Americans and we are 80 percent more likely to be diagnosed than White Americans. Of those with diabetes, there is a higher tendency for organ damage (heart disease, kidney failure, or blindness, for example) than Whites. The prevalence of visual problems, kidney problems, leg amputations, and overall hospitalizations are dramatically higher in African Americans with diabetes. The CDC reports that African American men die at over twice the rate of any other race or gender group from diabetes. 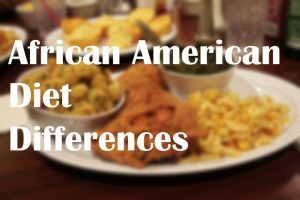 It was also found that these differences were not solely due to the African American diet, genetic differences played a part as well. Diabetes is diagnosed at an earlier age (median age 49 vs. 55.4 in White Americans) and this earlier age is significant because the development of diabetes complications is directly related to both blood sugar control as well as the total time a person has the disease. By getting diabetes earlier, there is more time to get complications. Make sense?? Most research dealing with the increased diabetes in African Americans points to increased insulin resistance when compared to White Americans. This means your body has insulin but is “resistant” to its normal function. 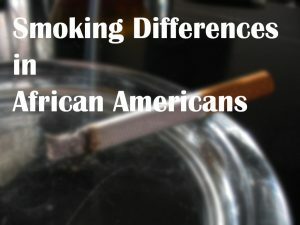 A recent study of over five thousand African Americans curiously showed that heavy smoking (more than a pack of cigarettes a day) significantly increased their risk for diabetes by worsening the insulin resistance. Former smokers and people who never smoked had a much lower risk for diabetes compared to the heavy smokers. HbA1c (Hemoglobin-A-One-See), the blood test used to diagnose and track diabetes, is generally a point higher in African Americans (8.9 in White Americans and 9.8 in African Americans), and when controlling for socioeconomic status, quality of care, self-management behaviors, and access, African Americans still have higher HbA1c levels. Another study by Saaddine and colleagues looked at younger patients age 5 to 24 years and found that African American youths consistently had higher HbA1c levels even without diabetes. In all, HbA1c value differences in African Americans essentially equates to a 0.4% difference (higher) for glucose matched White American patients. 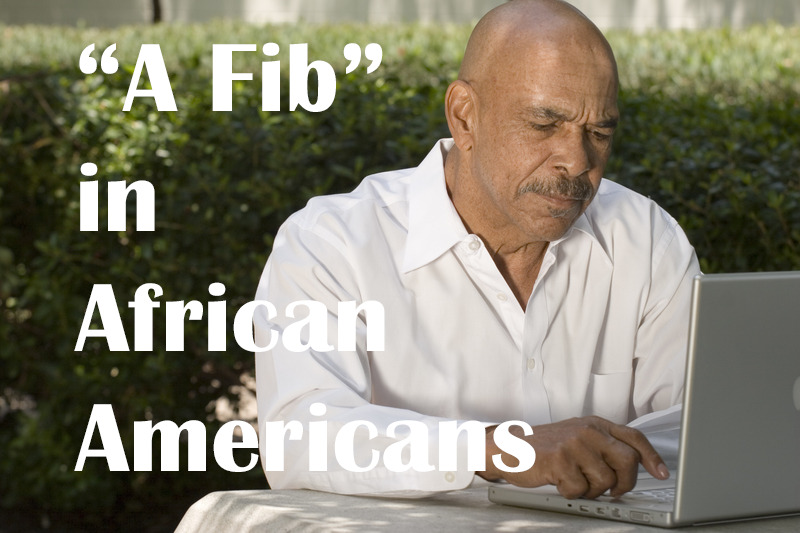 So a HbA1c of 7.0, the normal threshold to diagnose diabetes, is really 7.4 in African Americans. Diabetes should have been diagnosed when the HbA1c was 6.6. 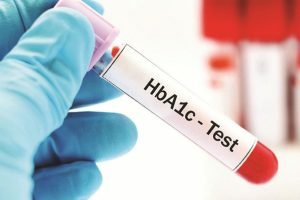 Put simply, the accepted relationship between HbA1c and the coinciding blood glucose used by doctors and laboratories is different for African Americans. If these facts aren’t confusing enough, another study found the HbA1c levels are “less dependable” when they are “near normal” in African Americans. High and low HbA1c levels tend to be much more accurate when estimating the average blood sugars. Because of the limitations of HbA1c measurements in some situations and the racial differences discussed above, some of the patients with a HbA1c level between 5.5% and 7% will clearly have diabetes, and others will not. Given that one in ten African Americans have sickle cell trait, it is important to consider their trait when interpreting the results of a HbA1c. In the end, people with sickle cell trait can be tricky to diagnose diabetes. Many doctors neglect to ask if someone has sickle cell trait because, outside of genetic counseling before having children, there has conventionally been little impact on other disorders. Is your doctor aware of this genetically-based difference? More Genetic Differences . . .
A recent study of over 160,00 patients looked at specific genes and how they impacted the diagnosis of diabetes. 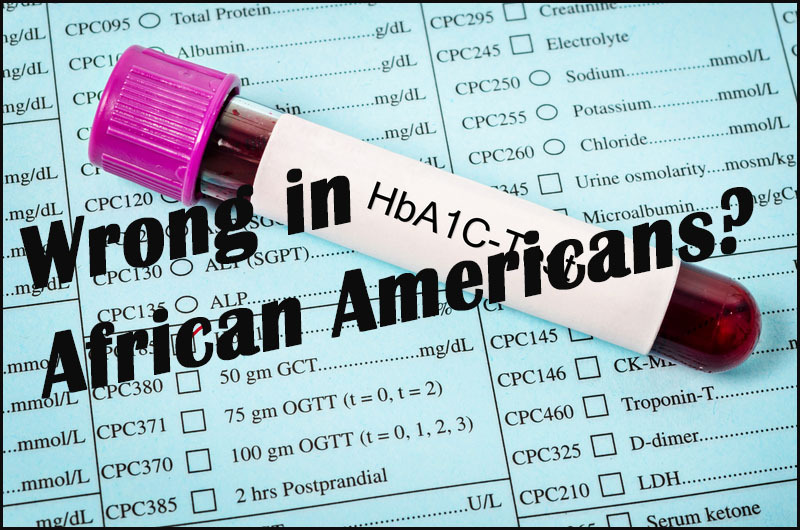 One in particular, the G6PD gene variant, was found to significantly impact the results of HbA1c tests in African Americans. This specific gene variant is almost totally unique to people of African ancestry. In fact, about 11 per cent of African Americans carry this gene variant. Between the 10% of African Americans with sickle cell trait and the 10% with the G6PD gene variant trait, a huge number of African Americans with diabetes are being un-diagnosed or diagnosed late with advanced diabetes. Diagnosing diabetes as soon as it strikes, gives everyone (the doctor and patient) adequate time to prevent complications before they occur. If you have just been diagnosed with diabetes, I have a great video that will get you off to a good start HERE. If you want to know about other genetic differences look HERE. 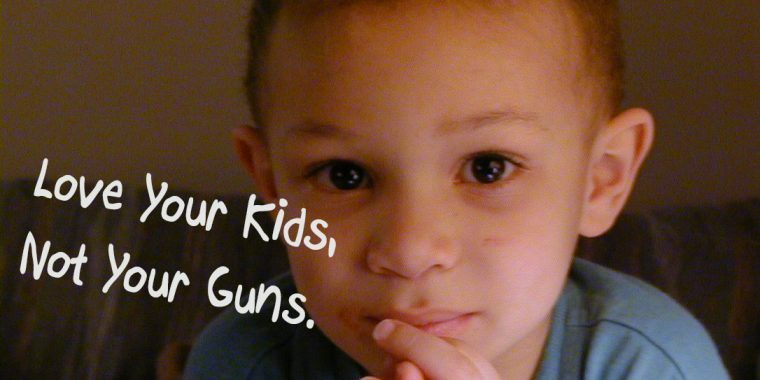 It’s silly that I have to write an article about something so obvious: Love your kids, not your guns. I’ve wrongly stayed neutral about gun control because so many of my patients have and love guns. And frankly, I didn’t want to alienate them. I’ve said to myself, if they want to have assault weapons and an arsenal in the basement of their home, who am I to say what they do . . . . or what they have? Some people collect stamps and other people collect guns. Collecting stamps never impacted so many other lives as collecting guns. The people that collect stamps really get into it. They travel to foreign lands just to personally buy incredibly valuable stamps, and many I’m told, can never stop. Their stamp collection is never complete. Many of my friends and patients with guns have the same “story” where they collect various guns of different fashions and capacities . . . and their collections seem boundless as well. Up to one third of adults engage in some form of “collecting” and for many Americans, guns are their passion. Why have all of these guns? When admiring their gun collection, some “super owners” confess to imagining jumping into action at a moment’s notice. They fantasize about heroic acts that will finally validate their collection. Do I have enough guns to fight off an invasion of aliens like in the movie “Independence Day?” What if aliens attack us? Who will protect us? The neighbor “gun super-owner” will come to our rescue. That’s silly. Aliens won’t attack. What about some virus that “goes bad” and turns half of the world into the “Walking Dead” or zombies like in “World War Z”? 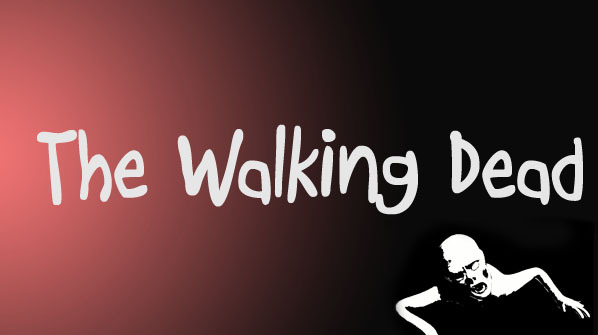 Then I’d bet you wish you had rapid fire assault machine guns to kill all of those “walkers”! But how much ammunition would you need? Would it run out? Wait. That’s silly. You couldn’t store enough ammunition for that. The zombies would eventually get us. What about some sort of invasion of the Russians (or whoever), and somehow the United States military would “break down” and then we would need to defend our homes and community from “the enemy?” Then we’d be happy we had military grade guns and ammunition to defend our freedom. That’s silly too. They would just drop a bomb. These “gun super-owners” are collectors. They are not mass murderers. They are also not saviors from some potential apocalyptic attack. They are collectors that are simply obsessed with guns. 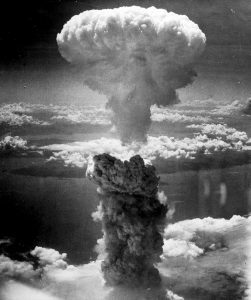 But their well-meaning obsession puts highly destructive weapons within the reach of other people who shouldn’t have them. The gun collectors, like the stamp collectors, think they pose no threat. But they do, and they have. That basement arsenal can be accessed by children, grandchildren, friends, neighbors, or simple criminals who would have no other access to these weapons except for your less-than-secure home security system. Are you ready to take responsibility for your guns no matter where they go, or what they do? The usual approach of "guns don't kill people, people kill people" can no longer apply. Over-prescribing opioids by doctors has been rightfully blamed for some of the opioid epidemic. If the pills had not been in the medicine cabinet, the kids wouldn't have experimented, and the addiction could have been avoided in some. A massive campaign has begun to decrease the amount of opioids that are readily available . . . and no one has objected. Where are the "pain pills don't kill people, abusing pain pills kills people" objectors? They simply do not exist because its a silly argument. Gun super-owners mean well, but their right to bear arms (or collect arms) shouldn’t extend into our ability to educate our children in an environment free of military-style attacks. Assault weapons have no place in a civilized society. 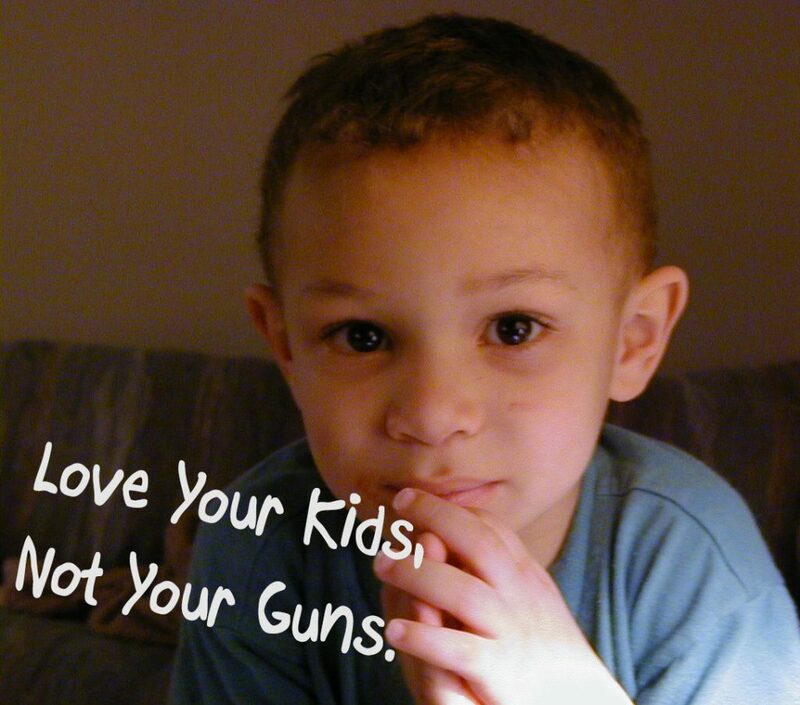 Love your kids, not your guns. 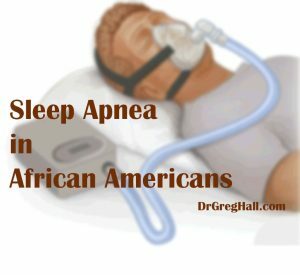 A recent study confirmed there is more sleep apnea in African Americans than in Whites. Sleep apnea (also call Obstructive Sleep Apnea / “OSA”) is a condition where people repeatedly stop breathing while they sleep. The outcome is a very poor sleep cycle and interrupted sleep. The lost sleep leads to daytime sleepiness, fatigue, poor concentration, poor energy, increased high blood pressure, heart disease, poor digestion and metabolism, and more. Scientists found significantly increased sleep apnea patterns, more snoring, more obesity, and poor global functioning in African Americans. The same study also showed decreased formally diagnosed sleep apnea in African Americans despite the disproportional increased occurrence. African Americans have a poorer sleep quality overall associated with worse insomnia levels and the highest levels for excessive daytime sleepiness. That increased fatigue and sleepiness can cause difficulty at work, trouble watching movies without falling asleep, difficulty with drowsiness while driving, and so on. With prolonged loss of sleep, high blood pressure results and with that the increased risk for stroke, heart attack, and sudden death from abnormal heart rhythms. 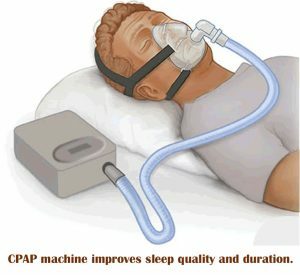 Continuous Positive Airway Pressure CPAP therapy reduces daytime sleepiness, improves depression and quality of life, and reduces deaths. Overall only about half of people with sleep apnea and a CPAP machine use it. But in African Americans the use of this life-saving treatment is even worse. Black Americans were over 5 times more likely to not use their CPAP machine than White Americans. Because modern CPAP machines can monitor (and transmit data) about usage and sleep efficiency, researchers were able to determine that African Americans that used the CPAP machine still averaged one hour less of nightly sleep. Like many health problems, African Americans show significant improvement in CPAP usage when they understand how it works . . . and why it works. A large study found that only about a quarter (26%) of African Americans were using their CPAP machine at 2 weeks compared to almost half (47%) of Whites. They also found that adjusting for income, demographics, and other diseases had no impact on its use. The finding that African Americans with more severe sleep apnea were 3 times more likely to use CPAP than those with mild or moderate sleep apnea possibly is due to subjectively perceived effectiveness. 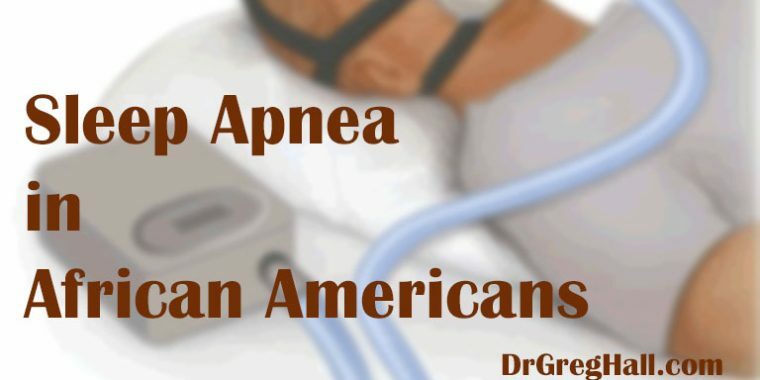 In focus groups, African American patients said that even with the inconveniences of CPAP, they would use the device if they thought of it as helpful. The study also failed to show a correlation between socioeconomic status in African Americans and CPAP usage . . . there was no difference between wealthier and more educated African Americans and poorer less educated African Americas in terms of who took advantage of the benefits of the CPAP machine. All were poor. What makes African Americans avoid CPAP therapy? The only thing that increased use of CPAP therapy in African Americans was having more severe sleep apnea. The more severe the episodes of not breathing, the higher the use of the CPAP machine. In mild and moderate sleep apnea, the patients may not trust their doctor enough to take their advice . . . this could explain the disparity. I find that my patients prefer a Tap Pap CPAP mask that only goes into the nostrils and is held in place by your upper teeth. This “mask” allows more sleeping on your side and is far more comfortable. Wearing the CPAP at night and getting a restful nights’ sleep is essential for health. People are shocked to hear that their heart is enlarged and may be barely functioning, or that their blood pressure is high, all due to poor sleep . . . and the simple use of CPAP therapy can potentially reverse it! Don’t take a good night’s sleep for granted, it can literally shorten your life. And ask your sleeping partner about snoring and gaps in breathing. You could easily have sleep apnea. My answer is almost always: Absolutely NOT. But where does this notion this come from? 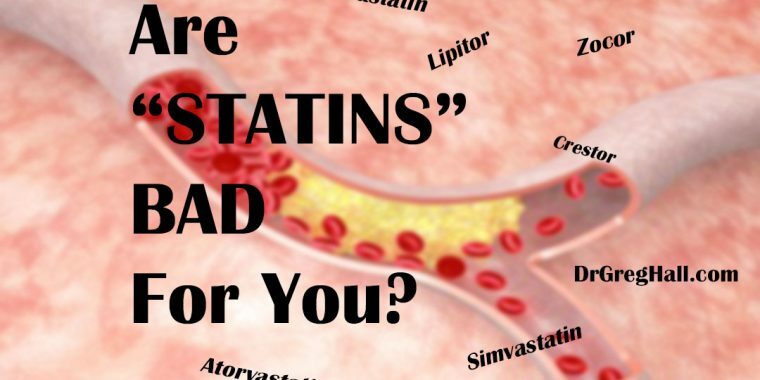 Where does it say that statins (what we call this group of medicines) are bad for you? Some of the interest in statins is purely from its widespread use. Over 30 million people are on statins and some recommendations predicts that over 70 million would benefit. African Americans have significantly higher heart disease, diabetes, and circulation problems so the odds of an African American being recommended to start a statin are high. 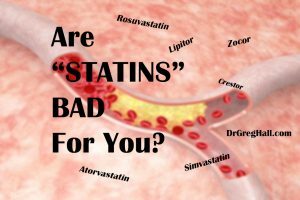 Essentially, statins lower your cholesterol (total cholesterol and bad cholesterol) and by lowering the cholesterol, the “clogging” of the arteries with cholesterol is lessened. 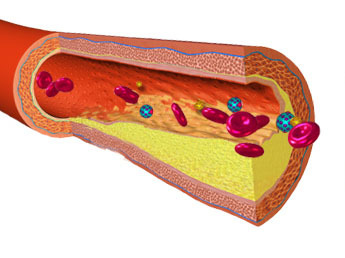 The higher the cholesterol, the more clogging of arteries. If you clog the arteries in your brain, you get a stroke. Clog the arteries in your heart, you have a heart attack. Clog the arteries in your legs, you get poor circulation to your feet which could cause infections that could lead to amputation. By lowering the amount of cholesterol, you lower the chance of clogging . . . anywhere. Scientists have also found that lowering a high cholesterol also reverses clogging that may have already happened. 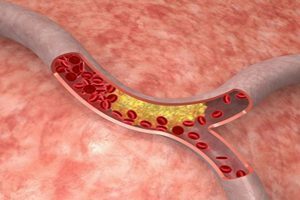 Mainly, the HDL “GOOD” cholesterol serves this artery-cleaning purpose and by lowering the overall burden of clogged arteries, it can “catch up” with clearing the narrow passages that could lead to total blockage. What should my Lipid levels be? 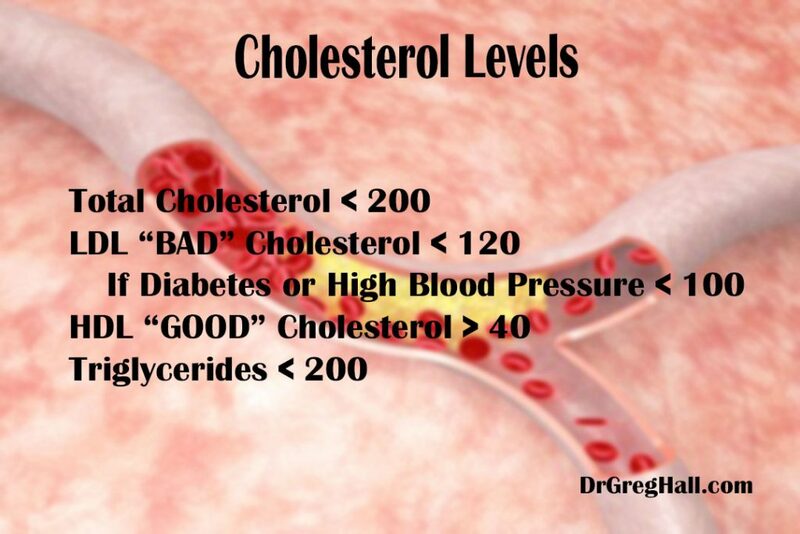 When doctors measure your cholesterol (Lipid Panel), they look for a total cholesterol less than 200 and a LDL or “bad” cholesterol of less than 120. In people with existing diagnoses of diabetes, circulation problems, heart attack, stroke, or a family history of early heart attacks or strokes, we shoot for an even lower LDL that is less than 100 . . . or even lower! Large studies of numerous patients have shown substantial benefit of cholesterol lowering medicines with significantly decreased heart attacks, strokes, and other circulation related medical problems. Statins help people with kidney problems too? Another study showed significant benefit of “statins” to people with kidney problems, and it helped many avoid dialysis. Kidney problems are very common in the Black community so anything that improves kidney outcomes can be a big help. African Americans have “better” cholesterol levels. Curiously, in general African Americans tend to have “better” cholesterol numbers than White Americans. With disproportionally higher heart disease in African Americans, researchers have wondered how these better lipid profiles coincide with the documented worse outcomes. The variability seen based on race is yet another curiosity given doctors’ accepted association of bad cholesterol levels equaling worse health, and good levels leading to improved health. Years earlier, scientists attributed elevated Lipoprotein Lipase (LPL) levels, the enzyme responsible for breaking down fat, and lower levels of other components, as principally responsible for the improved cholesterol picture in African Americans. Others have confirmed that the better lipid profiles in African Americans is not due to diet and lifestyle considerations noting worse fat content in foods and less exercise in African American populations compared to White Americans. Attempts to drill down to why good lipids do not lead to better outcomes in African Americans have continued to baffle doctors, but the assumption is the impact of uncontrolled high blood pressure, obesity, and higher diabetes rates overwhelm the beneficial impact of the improved cholesterol levels. It is also possible that African Americans patients should start cholesterol lowering medications at different (lower) thresholds. 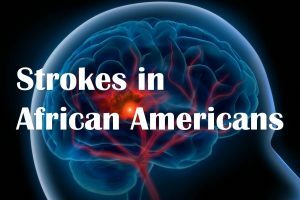 Unfortunately, African Americans have a poor track record of taking cholesterol lowering medicines when prescribed after a stroke, heart attack, or most other reasons for starting the medication. And doctors are less likely to prescribe statins in African Americans across the board. 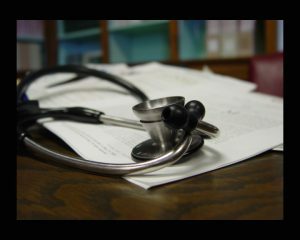 The result is a deadly combination of a doctor that is less likely to give a medication to a patient . . . and a patient that is less likely to take it. 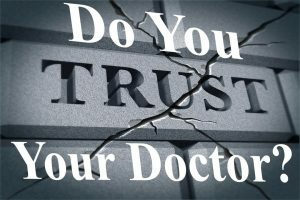 This inconsistency speaks to the trust issues African Americans have with doctors. So the question: Is cholesterol lowering medicine bad for you? The answer for African Americans is crystal clear: lower cholesterol leads to fewer heart attacks, fewer strokes, better kidney function, better circulation, fewer amputations, and longer lives. Don’t get it twisted . . . There are racial disparities in sleep with African Americans having a shorter sleep duration, a harder time falling asleep, and a tendency to wake up more easily after falling asleep. There is also a decreased ability to phase shift African Americans sleep cycles when exposed to jet-lag and shift work situations, and the total duration of the cycle was smaller, a study by Eastman and colleagues at Rush University Medical Center found. 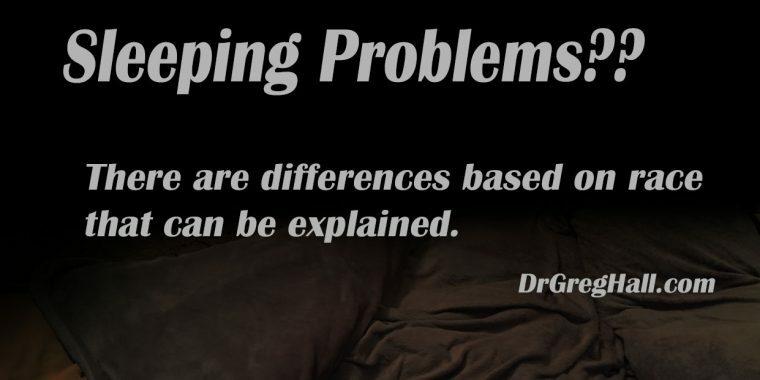 Sleep differences in African Americans cause a good deal of suffering. These researchers surmised that the differences in sleep architecture grew from thousands of years of genetic modifications resulting from, for African Americans, exposure to year-around consistent 12-hour light-dark cycles, versus whites coming for northern regions with significant variability in the day length, dawn, and dusk times. For example, in Ohio the day length changes from as short as eight hours in the winter to as long as sixteen hours in the summer. Ohioans are constantly adjusting to time shifts. With thousands of years of exposure to time changes, Ohioans would develop an increased ability to tolerate the changes. Closer to the equator (like western Africa), the time doesn’t shift nearly as much. The days are 12 hours long all year and there is no need to have an ability to tolerate time shifts. Therefore “the shifting circadian periods in non-equatorial regions left a genetically modified increased tolerance for variable light-dark productivity hours.” Put simply, people who genetically come from regions near the equator are less able to adjust to time shifts, daylight savings times, jet lag, or anything else that causes a shift in sunrise and sunset. Everyone has a “circadian period” which is an innate sleep wake cycle. We also have an ability to shift that cycle somewhat. People whose genes come from northern areas of the earth (Europe, Canada, etc.) have an ability to tolerate shifts in time whereas those of us from Caribbean, African, South American regions have much more difficulty adjusting. In another study, researchers exposed African Americans and White Americans to a 9 hour delayed light/dark sleep/wake and meal schedule, similar to traveling from Chicago to Japan. Essentially what would take 10 days for full adjustment in White Americans, would take 15 days for African Americans to adjust. Swing shifts are bad for your health! The need to adjust to time zone changes is only occasional in most people, and there are methods to make this adjustment smoother, but shift work seen in factory workers, police and fireman, healthcare staff, and other positions place an additional health burden on these workers. Shift working was found to add an additional 40 percent risk of heart disease as compared to non-shift work. There is also increased weight gain as a result of decreased glucose tolerance from meals consumed in the night. When eating at night, your body tends to store more of the calories rather than burn them. Therefore night workers (who have to eat sometimes) tend to be more overweight. Researchers have also found that shifts workers have worse cholesterol results. All of this contributes to increased health problems and premature death. By incorporating a planned exercise schedule and diet, emphasizing the dangers of smoking (particularly in shift workers), and providing better insight into the social impact of these schedules, can help many shift workers. And the few individuals that continually fail to adjust to shift work may feel better knowing there is a simple explanation for their troubles. Overall when measured, African Americans tend to have lower vitamin D3 levels and are very frequently labeled “vitamin D deficient”, but also have confirmed stronger bones and fewer fractures. Powe and colleagues at the Brigham and Woman’s Hospital in Cambridge Massachusetts looked specifically at this paradox and looked at vitamin D3 and vitamin D-binding proteins. The result of these studies suggest that having both a low vitamin D level and a low vitamin D-binding protein in African Americans actually causes a ‘re-set’ of true deficiency. With both being low, it is vitamin D’s bioavailability that drives calcium levels, parathyroid hormone levels, and true bone risk. 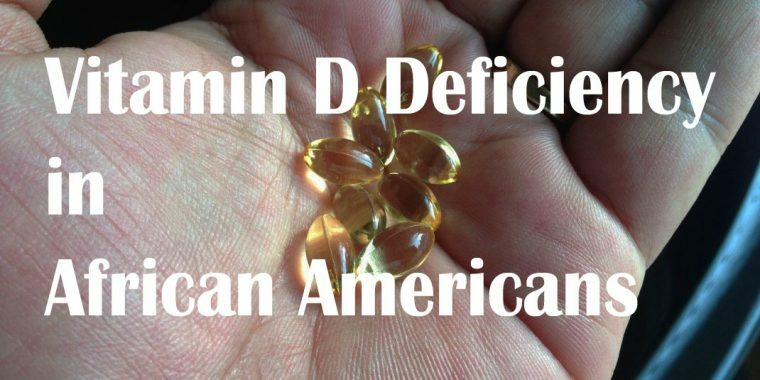 So all of this would suggest that African Americans don’t need Vitamin D replacement or supplements. Do we need additional Vitamin D or not?? 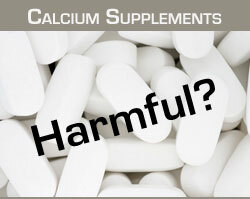 Ken Batai and colleagues at the University of Arizona, after studying over two thousand people, found a direct benefit to Vitamin D supplements to preventing prostate cancer in African American men and a pro-carcinogenic effect (inducing effect) of calcium supplementation on the prostate. These findings were strongest in African Americans. High calcium intake in African American men may actually increase the risk for prostate cancer, but taking vitamin D can reduce the risk. There are a number of important diet differences in African Americans that need to be considered prior to offering advice regarding improvements or adjustments. To tell someone to “eat better” without first knowing their current diet is a waste of everyone’s time. Some of the basic foundations of African Americans’ diet stem from slavery days, but there are also more recent adaptations that have slowly weaved into the fabric of the African American diet. Some of the changes were economic and others more convenience and culture-related. To sum up the African American diet by only referring to slave influences is to ignore one and a half centuries of added impacts that made the African American diet what it is today. Food availability, storage, financial independence, health literacy, and a sense of history and heritage all contribute to the ever changing components of the widening African American diet. With the ever changing make-up of African Americans, their diet is equally changing. More Africans, Caribbeans, and mixed races folds in a number of cultural nuances that need to be considered. Even within the African American community, the diets vary greatly. Some sub-cultures eat more rice while others prefer pasta. Some avoid pork for religious reasons, while other avoid beef due to poor digestion or its increasing cost. 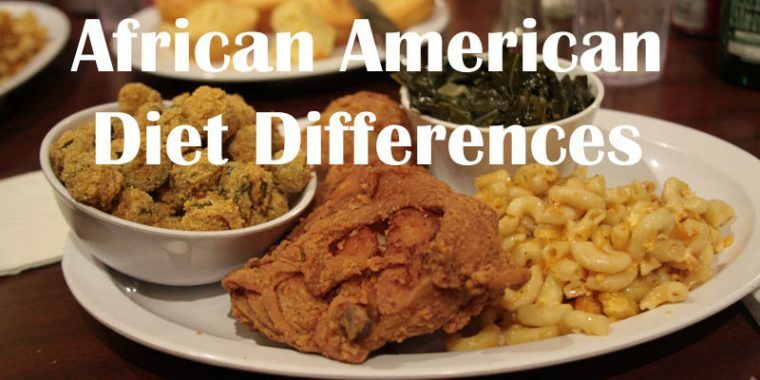 These considerations aside, the basics of the African American diet mirror an American diet. 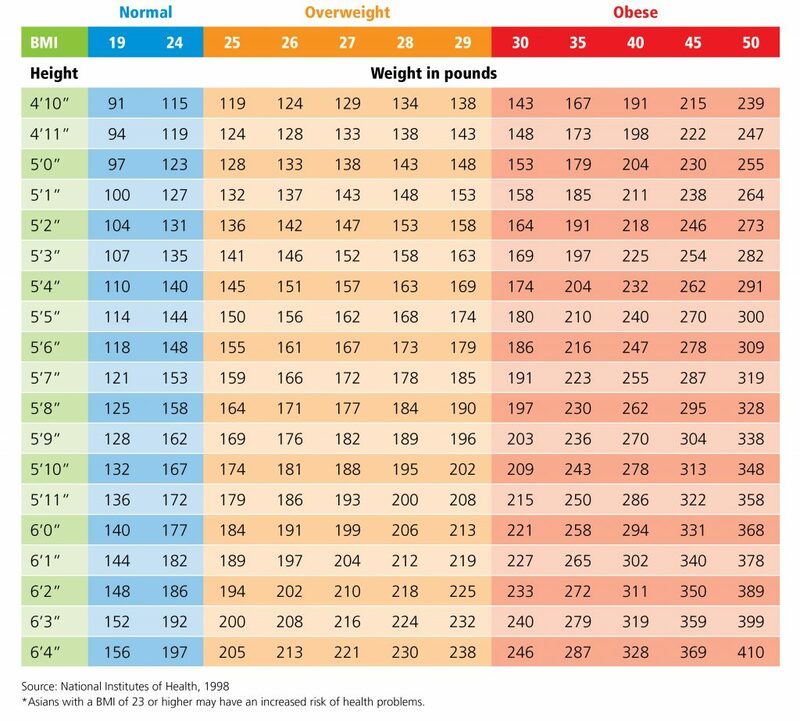 The “average” meal will have meat, starch, and vegetables in varying proportions. Adding Meat to Your Vegetables?? African Americans more frequently will have their vegetables cooked rather than fresh. Because of the scarcity of meat as a main course in slavery days, seasoning these cooked vegetable dishes with fatty cuts of low preference meat (whether smoked or not) quickly became a mainstay in the African American diet. Having the lean cuts reserved exclusively for the more affluent, African Americans became accustomed to other cuts of meat (ham hocks, neck bones, and ox tails, etc.). Now that the scarcity of meat is much less of a logistical problem, the ‘habit’ or custom of adding meats to vegetables is now merely a standard way to cook them. String beans, collard/mustard/turnip greens almost always have a smoked (and/or salted) cut of meat in the pot. 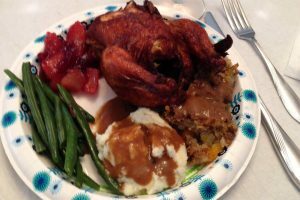 Because of a growing aversion to pork products in some circles, a significant number of African Americans use smoked turkey to season cooked vegetables and beans. 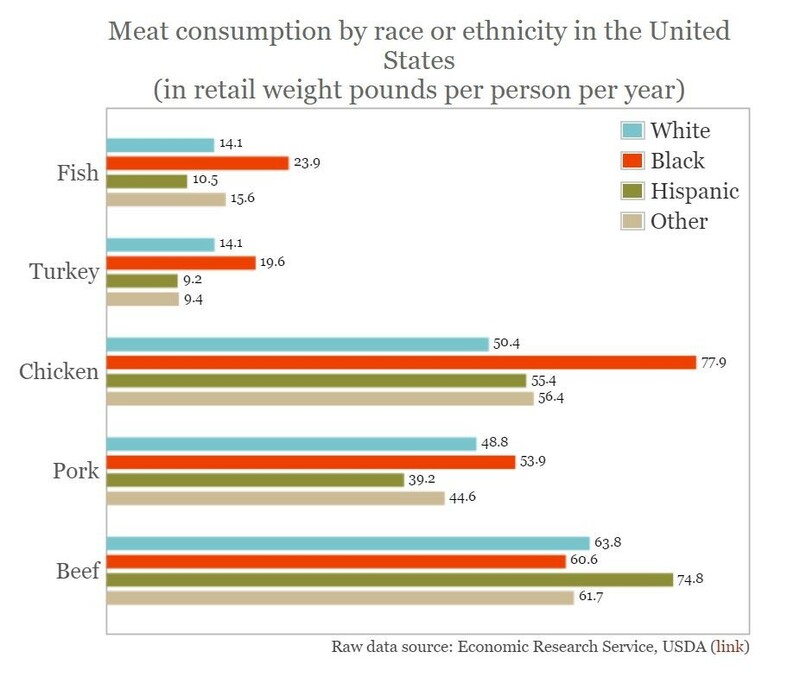 The breakdown in terms of specific meats preferred by African Americans show a predominance of chicken and turkey, as well as relatively more fish and pork, but less beef than white or Hispanic American diets. 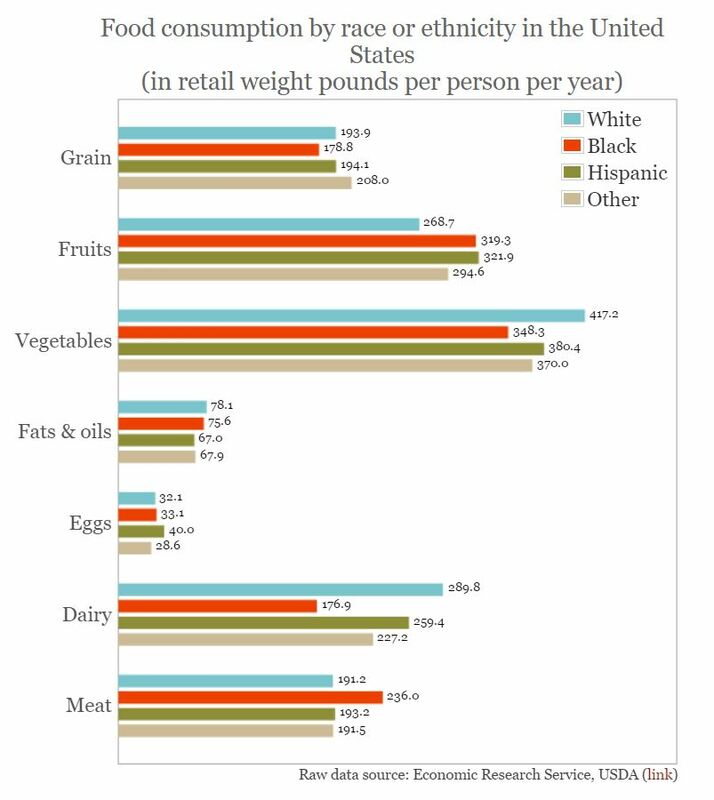 Overall, African Americans eat less grains, fewer eggs, less vegetables, and much less milk, but they consume significantly more meat and fruits. By increasing the amount of vegetables, particularly fresh uncooked in the form of salads, more nutritional balance can be brought to the African American diet fairly easily. The increased consumption of fish and poultry (both chicken and turkey) already represents a beneficial existing tradition. Although African Americans eat relatively fewer vegetables, there are also distinct differences within this category with an increased consumption of fresh green beans, fresh cabbage, and fresh greens when compared with other vegetables. African Americans prepare more meals “from scratch” when compared to majority populations. This diet difference in African American home cooking leads to comparatively more purchases of cooking items including spices, seasonings, oils, and preparation items including baking powder, flour, extracts, and sugars in multiple forms. 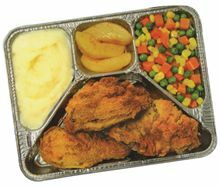 The more “home cooking” done in African American kitchens leads to less consumption of pre-processed or ready-to-eat foods which is considerably beneficial. Conventionally, when people think of processed and ready-to-eat foods, they generally equate them with poor nutritional quality and lower socio-economic status. Poti, Mendez, and colleagues looked at the nutritional value of “processed foods” and found they have “higher saturated fat, sugar, and sodium content” when compared to lesser processed foods. Because of the higher proportion of African Americans that are poor, many assumed that they too consume more ready-to-eat foods, but studies reveal that, in fact, African Americans buy less overall ready-to-eat and/or highly processed foods when compared to European Americans. 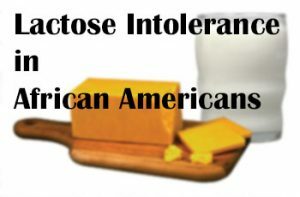 One glaring exception in the purchasing of pre-processed foods was African Americans’ tendency to purchase a much higher proportion of pre-processed sugary beverages when compared to white Americans, and a much lower volume of milk and dairy purchases. 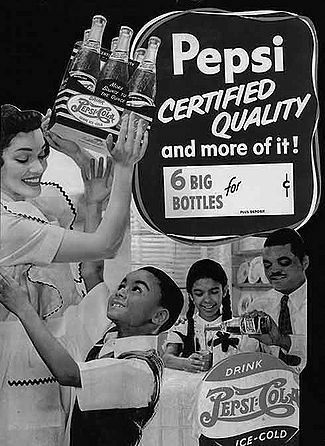 Marketing campaigns targeting African Americans like the one to the right from the 1940’s is just one of many that drove up the consumption of surgery beverages. Other exceptions include a significantly higher consumption of bacon and sausages. Finally, there was also an increased purchasing of processed sweeteners including sugar, syrups, jams and jellies in African American consumers. While there is far more diet differences in African Americans to cover, the best way to advise a patient on their diet is to first know their specific diet . . . don’t generalize . . . interview. Find out what, exactly, they eat, and then devise an alternative plan with suitable substitutions. 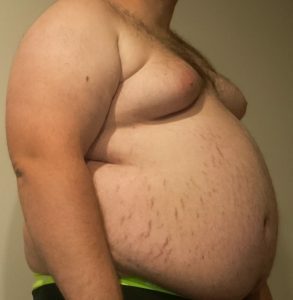 Very few people will be able to completely change their diet, and providers should not expect this because it is unrealistic. But we should be able to give helpful advise based on a detailed interview. Check out this great video on cooking oils and the dangers of reusing oils !! Salt sensitivity is defined as significant changes in blood pressure in response to salt in a diet. 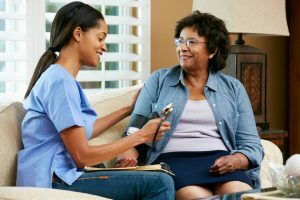 75 percent of all African American patients with high blood pressure are salt sensitive compared to 50 percent across all races with hypertension. The vast majority of African American patients with hypertension are salt sensitive and their salt use needs to be discussed and investigated. 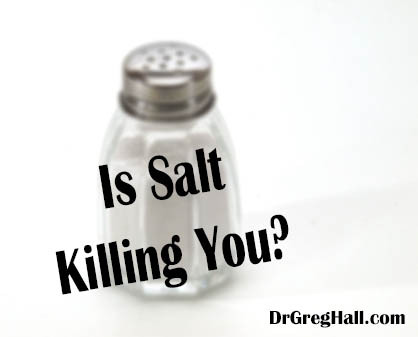 Studies have consistently found salt sensitivity increases with age, and is more common in people that are overweight, have a history of “heart problems,” and have serious kidney problems . . . all of which are increased in African Americans. 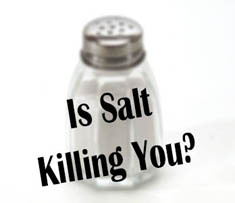 Studies have additionally found that salt-sensitivity alone is associated with increased death, even in salt-sensitive people who don’t have high blood pressure. Researchers have also found that being overweight make salt-sensitivity worse. A modest reduction in salt intake (half normal consumption: 5 to 6 grams) for a month has been shown to make significant and sustained reductions in blood pressure. 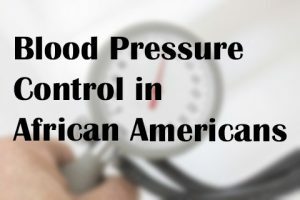 In fact, African Americans showed the most pronounced blood pressure reductions in response to salt restriction with a drop of 8 mm Hg systolic (the first number in a blood pressure reading) over 4 mm Hg diastolic (the second number in a blood pressure reading) averaged across as array of studies. Imagine what a bigger salt restriction would do? The lower blood pressure readings in African Americans after dietary salt restriction is significant and can be maintained over time. 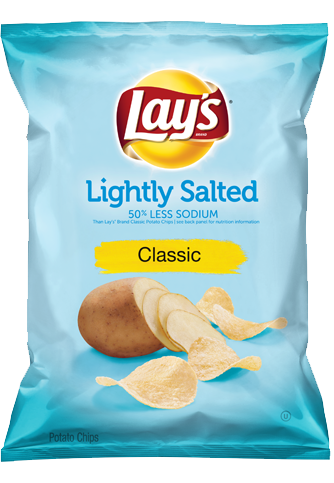 Try these Lays Potato Chips with half the salt rather than the regular. 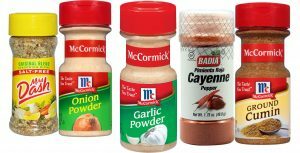 Take the time to look for lower sodium alternatives for seasonings and use other seasonings like garlic power, onion powder, and cayenne & black peppers. If you are hesitant to start a medication to bring down your mildly elevated blood pressure, spend some time looking at how much salt is in your diet, and then try to decrease this by half.